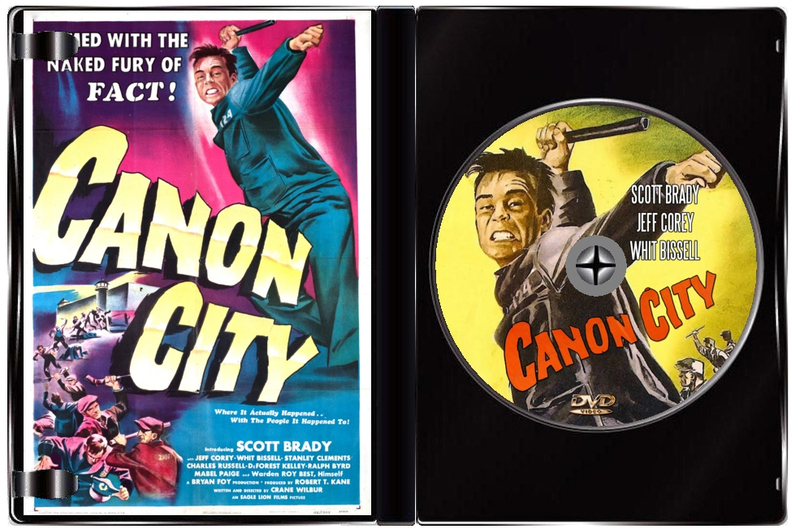 "Canon City" is a movie with a very unusual hook: It's filmed in the prison where the events actually happen and many of the inmates you see are real. It tells the story of a famous prison break from the Colorado State Penitentiary. 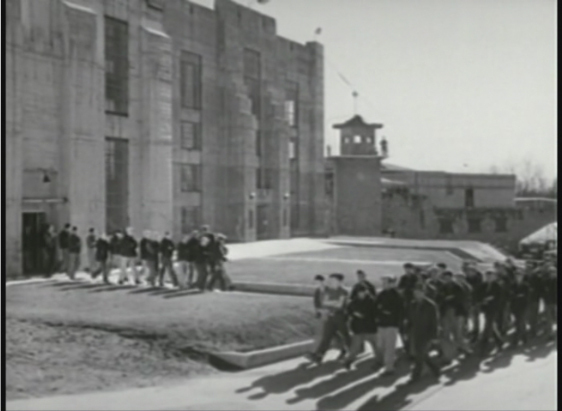 The first part of the film gives us a documentary-style tour of the prison and introduces us to men who were the actual inmates at the time the movie was filmed; the chief warden of the prison likewise plays the warden in the movie. 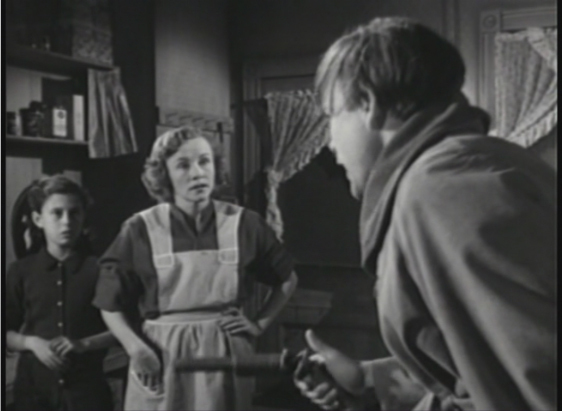 After this extended prologue, actors take over to portray the actual escape and the subsequent manhunt that put families living nearby at risk as the escaped cons used their homes as hideouts. They include Jeff Corey and Whit Bissell, both serving time in solitary. 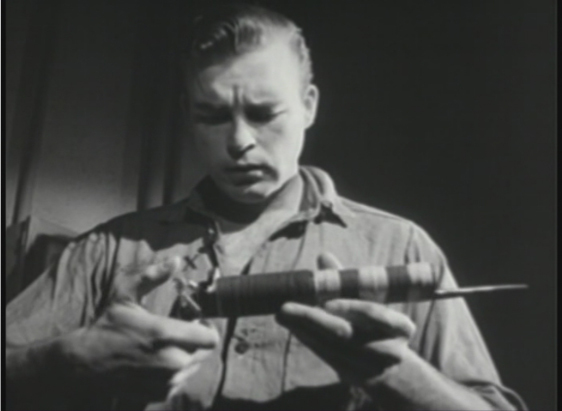 One of the inmates tries to get Scott Brady to join them, but he refuses. However, after hearing he won't be up for parole for another 10 years, he gives in. 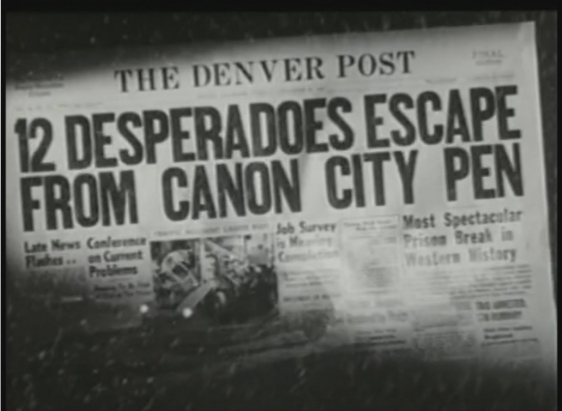 The group of 12 men manage to escape right into a blizzard. They split up and take several families hostage in search of guns, food and cars, while the authorities try to capture them.